Aquaria’s SPA DAY packages provide ad hoc treatments for every type of requirement and also include entry to the Spa&Sauna for 3 hours. This package therefore gives access to all the centre’s facilities. Two 3-hour Entries to Aquaria, 1 couple massage You&me in Suite SPA (50 mins.) with a bottle of champagne and strawberries and chocolate fondue. 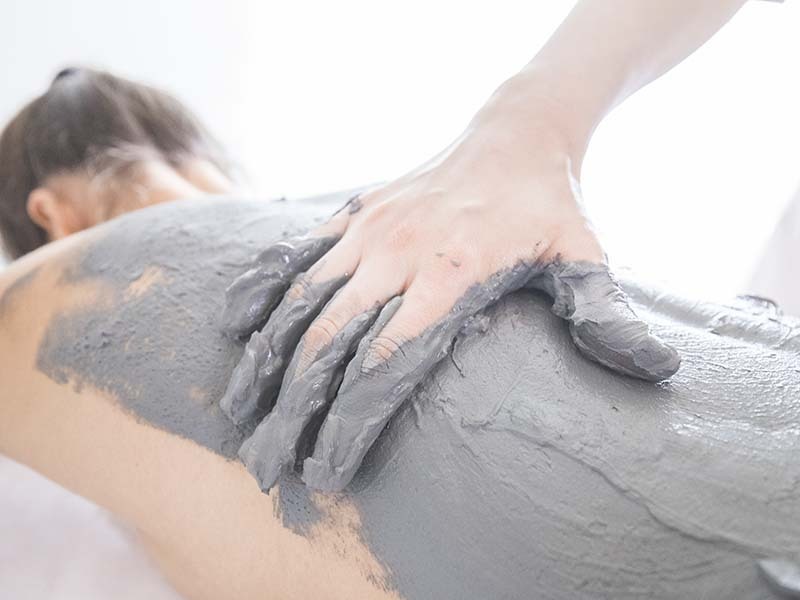 3-hour Entry to Aquaria, 1 scented thermal hydromassage (20'), 1 balancing and emollient thermal mud (50'), 1 body massage with vegetable butters (50'). The package includes Aquaria Thermal Cosmetics Thermal Bath and Massage Cream. 3-hour Entry to Aquaria, 1 reducing and slimming thermal mud wrap (50 mins), 1 draining massage (50 mins) and an Aquaria Thermal Cosmetics Modelling Cream. 3-hour Entry to Aquaria, 1 leg detox thermal mud (50'), 1 draining massage (50') and a detoxifying centrifuge. A wide range of thermal and aesthetic treatments for beauty and the health of body and mind. A combination of treatments designed to rediscover wellness.